There is a most beautiful rose at the top of the hill. When we touch the rose and smell the rose, all time stands still. It connects to the Divine when we are feeling down. There is such quiet, no noise, not a single sound. It is bathed in an incandescent light. Visualize that rose with your inner sight. 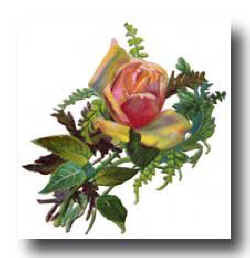 Feel the peace and tranquillity that emanates from that single rose. Be one with God as the divine energy freely flows. Watch all your baggage slowly dissipate. Time is no longer relevant; you don’t have to worry about being late. 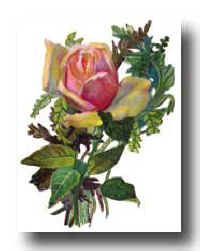 From that rose comes a divine being who hands you a silver key. You open a celestial door that you know will set you free. You enter through that door with thanksgiving and praise. On the other side of the door is an exquisite garden; you stop to gaze. You gaze at the beautiful surroundings and myriads of streams. Untold beauty and unimaginable colours flood your mind. Now you can truly see but before you were spiritually blind. You wander along an emerald path where you are greeted by an angel of light. He telepathically communicates with you; there is no struggle or fight. He points up to the top of the hill and beacons you to go. Say thankyou and continue your journey for now you know. At the top of the hill is an old wooden cross. Kneel in contemplation and realise what could have been such a loss. At the foot of the cross stands a radiant rose. 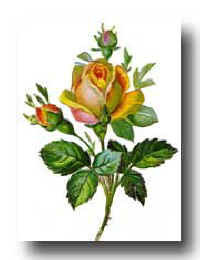 The rose represents the complete love of God that freely flows. That lonely rose had a radiant light emanating from its bloom. In your heart you know now what is to take place very soon. Your eyelids grow heavy at the foot of the old wooden cross. And awake refreshed with all the burdens now no more. You re-enter the celestial door. You are now infused with God’s complete and total love for you. Meditate on that sacred rose and help others to recognise that these words are so true. Set others free as God has set you free. Think of the Cross and the sacred rose that they may also be given the key.